A “risk-managed return to racing” will start Wednesday with four scheduled meetings, according to British racing’s governing body, the British Horseracing Authority (BHA). The entire sport went into shutdown after six vaccinated horses from the same yard tested positive for the virus last week. An additional four horses developed flu at a separate location. “After analysis of thousands of samples, and no further positive tests on Monday, we still only have two confirmed sites of infection. We have put robust containment measures in place around both,” read a statement from the BHA’s chief regulatory officer, Brant Dunshea. 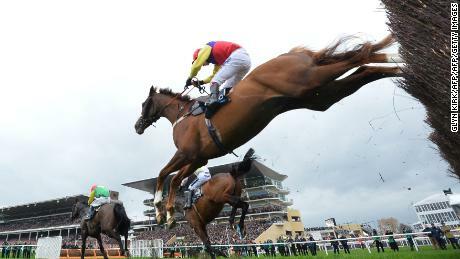 The outbreak put at risk the Cheltenham Festival, the pinnacle of jump racing, which is set to start on March 12. “Clearly, there is some risk associated with returning to racing,” the statement continued.